I made it. It’s 9:30 am here and I’m writing this blog post after a delightful 8 hours of sleep! (Take that, jet lag.) I’m also sipping a cup of coffee. * Spirits are high! Yesterday was my first full day in Copenhagen and so far I’m blown away. This really is bicycle heaven. Biking here is especially meaningful for me—and would be to anyone who regularly commutes by bicycle in an American city—because, well, it doesn’t mean all that much. Commuting on a bike here isn’t a political statement. It’s just a practical way to get around the city. 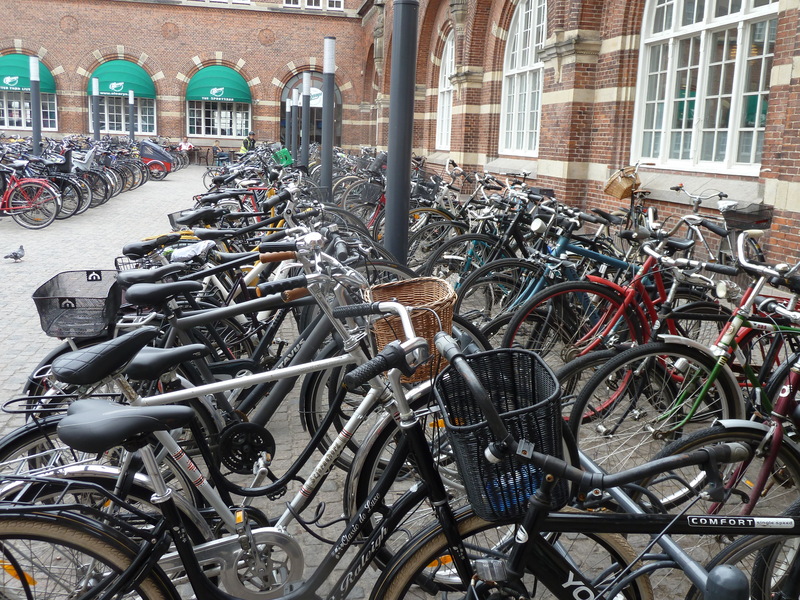 In the same way that American car drivers don’t identify as “drivers,” Copenhagen transportation officials report that Copenhageners don’t feel that their decision to bike to work or school contributes to their personal identity. Conversely, in most social circles in the US, bike commuting makes you the token “biker” and it says something about who you are. I don’t think most people want their transportation choices to factor into their identity—perhaps this is one of the many barriers to higher rates of cycling in the US? I spent most of yesterday participating in a charrette organized by members of an iSustain study mission. The focus of the charrette was to apply lessons learned from Denmark to develop solutions for enhanced bicycle and pedestrian mobility in Seattle. I’ll dedicate another post to all the fascinating things I learned at this event. For now, I’m going to hit the streets and explore more! 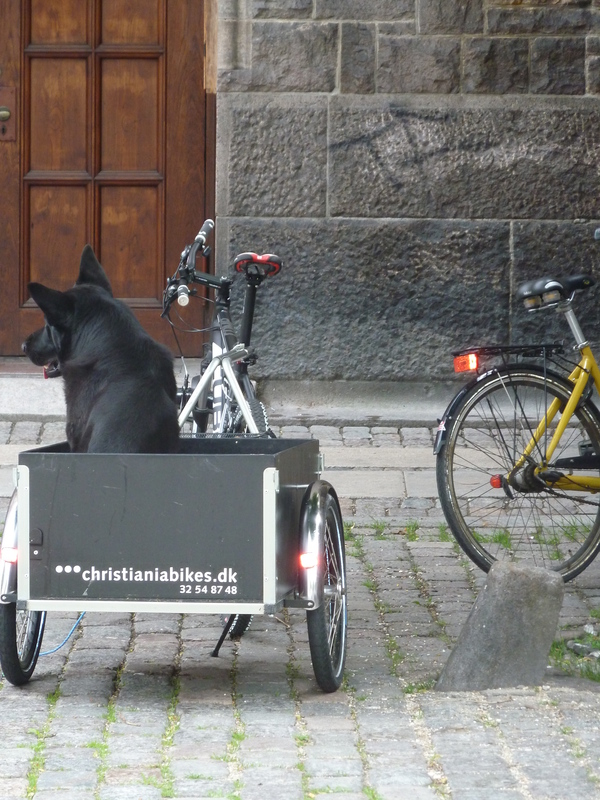 Here are a few of the pictures I’ve taken in CPH so far. Bike "park and ride" at Central Station (where you can catch the Metro and regional trains). Waiting for master to come back. 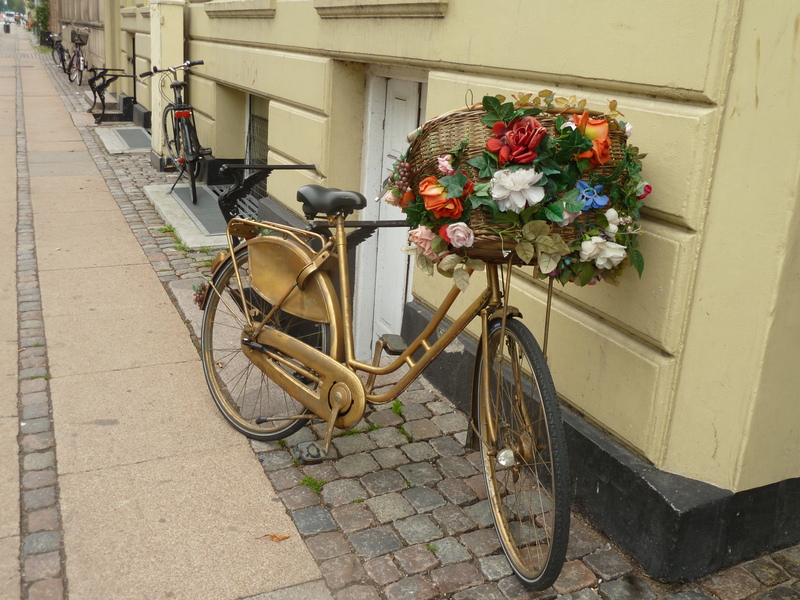 Other people like putting flowers on their bikes too. News that’s potentially more exciting than you being in Europe: I have moved to the east kitchen and am drinking the grainy stuff now as I read your blog on this grey Seattle afternoon. Thanks for the shout out. Miss you tons– keep the blog posts coming!